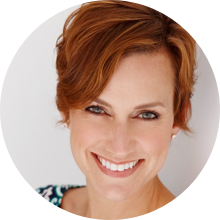 Erica Hawley Hoffman is owner and president of The Symphony Group, an organization development and leadership coaching practice founded in 2000. Erica brings to The Symphony Group over 18 years of organization development, leadership development and leadership coaching experience with clients in diverse industries. Erica is committed to awakening the potential in others and expanding choice and possibility in their lives. Erica has coached all levels of the workforce, from senior executives to individual contributors. She has a proven record of helping clients become better communicators and achieve a greater sense of purpose and balance in their lives. She has a passion for experiential learning and has created high-impact learning opportunities for her clients in unique venues such as sailing on the Chesapeake Bay and building a Habitat for Humanity house. Erica’s work includes designing and delivering large-scale leadership development and culture change programs for her client organizations. Erica’s client list includes Children’s National Medical Center, US Department of Education, US Department of Health and Human Services, Habitat for Humanity, Lutheran Immigration and Refugee Service, Northrop Grumman, Department of the Army, US National Security Agency (NSA), PACT, USinternetworking, United States Naval Academy, and Vision Technology Services, among others. Highlights of her work include designing and facilitating an 18-month Leadership Development Training Program for emerging leaders at Northrop Grumman, a program which has been running for over 10 years, implementing Strengths-Based Leadership Coaching partnerships at Lutheran Immigration and Refugee Service, and coaching a Company Commander at the US Naval Academy. In addition to creating customized individual and team assessments for her clients, Erica is an experienced facilitator in several individual, team, and organizational assessments including the Myers Briggs Type Indicator (MBTI), DDI Leadership Mirror 360-degree feedback, PDI 360-degree Feedback, Strengthsfinder 2.0, Gallup Workforce Engagement Survey, Firo-B, Strong Interest Inventory, Conflict Dynamics Profile, Leadership Practices Inventory, DISC, and Thomas Kilmann Conflict Profile.